The number one request from entrepreneurs to SVB Private Bank is access to more liquidity. Our clients in the Innovation Economy are passionate about creating technologies, products, or companies that will disrupt the status quo. They thrive on the challenge, the effort, and the excitement. The path is an adventure with many twists and turns, but no matter where it ends up, they dream about emerging to pursue yet another. At SVB we exist to help these entrepreneurs and the companies they create make next happen now. And, we built the SVB Private Bank specifically to support these entrepreneurs personally as they navigate the less traditional path they chose. Raising capital to support their endeavors is a central concern for every entrepreneur. Even as a project succeeds and grows, the need for more capital continues. This challenge to raise capital takes on an even more nuanced progression in entrepreneurs' personal lives. The individual may have invested significant savings and sacrificed salary for sweat equity to get things going, and now, despite the progress and value creation, the entrepreneur faces an even greater need to access liquidity. But access to liquidity can be a challenge. There is value in my private securities, but how can I access this value? My stock options are "in the money," but I need liquidity to exercise them and to pay the taxes. The private securities I hold will become liquid soon, but I need liquidity today. I want or need to retain my share ownership, but my family situation has evolved, and I need liquidity to support their needs. My company has attained success, and my equity is now liquid. Should I diversify? What is my budget? How should I invest? How does this affect my next adventure? I need a plan. These are not single transaction issues. The path to acquire personal liquidity is far more complex than pursuing a single transaction such as a loan or the sale of shares, and each circumstance is unique and may require a very different liquidity solution. For example, two entrepreneurs facing very similar stock option exercise decisions might pursue different strategies. One might exercise and sell; the other might exercise and hold. Many variables need to be considered, including public or private shares, valuation, the company's operating trend, market dynamics, shareholder rights, and so many more. Clients come to SVB every day for advice and solutions that require insight about these variables, while we develop a plan that is tailored to their personal incomes, funding needs, risk tolerance, and short- and long-term goals. Each entrepreneur needs an individual, holistic plan. The need for a personal plan along with the awareness that the plan must be periodically reviewed or updated is essential. Today's strategy may not match the needs of tomorrow's evolving situation – a material valuation change; a life event such as marriage, children or divorce; changes in the tax code; or new investment opportunities. Entrepreneurs need to take the time to implement a strategy or simply assess the plan, in case there is a need to fine tune or update their overall assessments of risk, reward, liquidity, principal, time frames, and commitments. Scheduled assessments of estate, tax, and insurance planning are prudent. Unfortunately, there are no algorithms in the market, no hand-held app available to solve all the personal financial needs of today's entrepreneur. Despite the tremendous advances made by many financial technology companies, the varied needs of an entrepreneur are just too complicated for most of today's fintech solutions. What are the risks if market volatility impacts valuation or the timing of an exit? Do I have enough capital and/or liquidity to withstand the volatility? What is the capacity of the financial partner, bank, or other to lend? Do I have any other assets that could support a loan? What is my back-up plan? Are there alternative funding sources available? Just as the technology environment evolves, the market for financial solutions and the advice needed to solve for liquidity alternatives also evolves. Adding to the complexity is the continued evolution of compensation strategies – option plans, restricted shares, salary, and benefit programs – which many technology companies use to attract and retain talent. This continued evolution on all fronts underscores the importance of having a plan and a commitment to keep it updated. No doubt, even better financial tools will emerge in the coming years to help assist the various tax, wealth, and banking advisors to help solve the needs of entrepreneurs. But today, the many financial technologies that can serve the mainstream can't cover all the intricacies facing an entrepreneur's planning needs. Comprehensive liquidity planning and optimization through trusted advisors remain the best way to solve the ongoing liquidity needs for today's entrepreneur. SVB Disclaimer: All material presented, unless specifically indicated otherwise, is under copyright to SVB Wealth Advisory, Inc. and its affiliates and is for informational purposes only. None of the material, nor its content, nor any copy of it, may be altered in any way, transmitted to, copied or distributed to any other party, without the prior express written permission of SVB Wealth Advisory, Inc. All trademarks, service marks and logos used in this material are trademarks or service marks or registered trademarks of SVB Financial Group or one of its affiliates or other entities.  SVB Financial Group has an indirect financial interest in Founders Circle Capital (FCC) and as a result, has an indirect interest in making client referrals to FCC. FCC is a registered investment advisor and is not a bank or member of the Federal Reserve System. 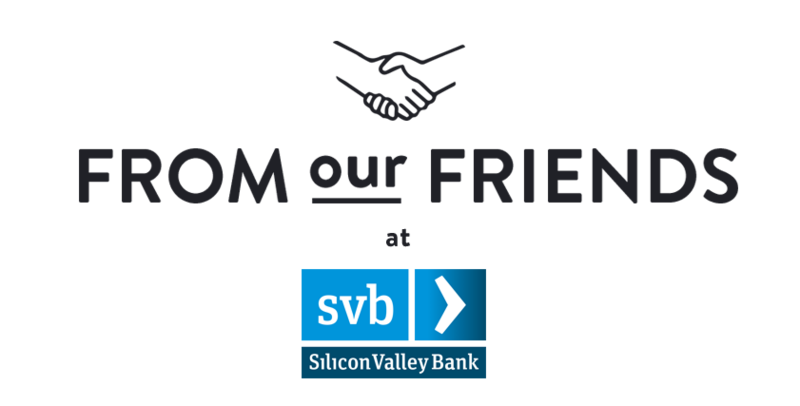 The websites and secondary funds named are not affiliated with SVB Financial Group and naming them is not to be construed as a recommendation or endorsement by us.